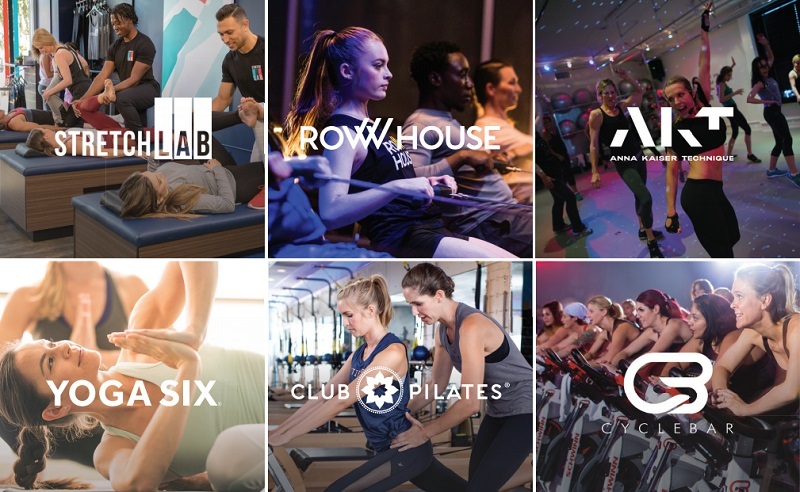 Xponential Fitness is one of the world’s largest and fastest-growing fitness franchise companies and the curator of the best brands across every vertical in the boutique fitness industry – including Pilates, cycle, stretch, dance and rowing. With more than 25 years of boutique fitness franchising experience across all our brands, we have the resources and network to dominate every boutique fitness category. Club Pilates is the largest network of Reformer-based group Pilates studios in the world. We have been ranked as the Fastest Growing Fitness Franchise in Inc. Magazine’s Inc. 5000 and 500 two years running, and Entrepreneur Magazine’s 2018 Franchise 500 for the second year running. CycleBar is the world’s largest premium indoor cycling brand. CycleBar provides far beyond a great cardio workout, with concierge-level service, premium amenities, and a community of riders to motivate and inspire your fitness journey. Each workout provides 45-minute low-impact, high-intensity cycling experience for all ages and body types. Classes are led by industry-best instructors riding to the beat of mind-blowing playlists in an energizing concert environment, and proprietary performance stats to help members achieve their personal best, ride-after-ride. Established in New York City in 2014, Row House is an indoor-rowing fitness concept that was born from the idea that rowing is simply the most efficient, low-impact, high-energy, full-body workout for any fitness level that unites, inspires and drives people to dig a little deeper. The only franchised modern take on the ancient practice of yoga. At Yoga Six we are changing the way people think and experience yoga. Our yoga and fitness classes help our clients to connect to their body in a way that is energizing, empowering, and fun. Developed by Celebrity Trainer Anna Kaiser, AKT is a prescription-based dance concept, deeply rooted in movement and positive energy. Fuelled by positivity and a belief that movement has a powerful, lasting impact, AKT is for all body types and fitness levels; AKT empowers members to become stronger in their bodies, minds and communities - and they have fun doing it! Pure Barre is the world’s largest, most established barre franchise with 500 studios across North America. With a dedicated following of 550,000+ clients, Pure Barre focuses on small movements that result in big changes. Pure Barre's innovative technique comes in a range of class offerings that target strength, cardio and flexibility for people of all levels, providing clients with self-focused time to transform the body and mind. Xponential Fitness is looking for highly-qualified master franchisee to acquire the rights to multiple Xponential Fitness brands in the UK. We would also be open to considering a single-brand master deal for the right partner. If you would like to know more, please fill in the short form below and we will send you a copy of our prospectus. We are also happy to answer any questions you may have or arrange a non-obligatory telephone conversation with you.